Today is a sort of a national hollyday in Philippines. 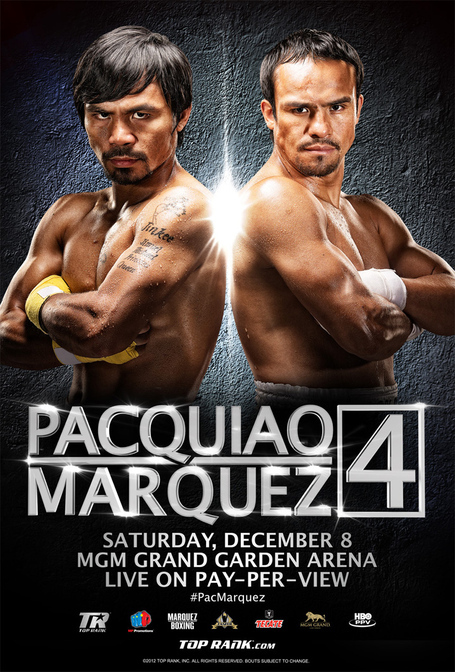 Philippino Emmanuel “Manny” Dapidran Pacquiao, one of the worlds best boxers, named fighter of the decade for 2000s and long time holder of the best pound-per-pound boxer and Mexican Juan Manuel Márquez Méndez are fighting for the title right as i am writing this post. Fight ended in round 6 by knock-out for Marquez. Sad day for Philippines i suppose.